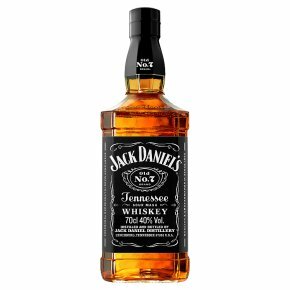 This iconic whiskey is made at Jack Daniel's Distillery in Lynchburg, Tennessee, using pure cave spring water and a unique mellowing process, perfected by Mr Jack Daniel in 1866. With its distinctive square bottle, this is hugely popular mixed with cola as a long drink, and great in cocktails. Every drop made in Lynchburg Tennessee. Mellowed for smoothness drop by drop through sugar maple charcoal. Matured for character in our own handcrafted barrels. Tasted for flavor by masters until deemed ready. Awarded for quality and distinction 7 gold medals since 1904.